You can get a lot of sweet performance cars for $100,000. Spend the money right, and you might even get two for that price. But with $100,000 in hand, the only thing you’ll get from Bugatti is a set of rims and tires. Used. 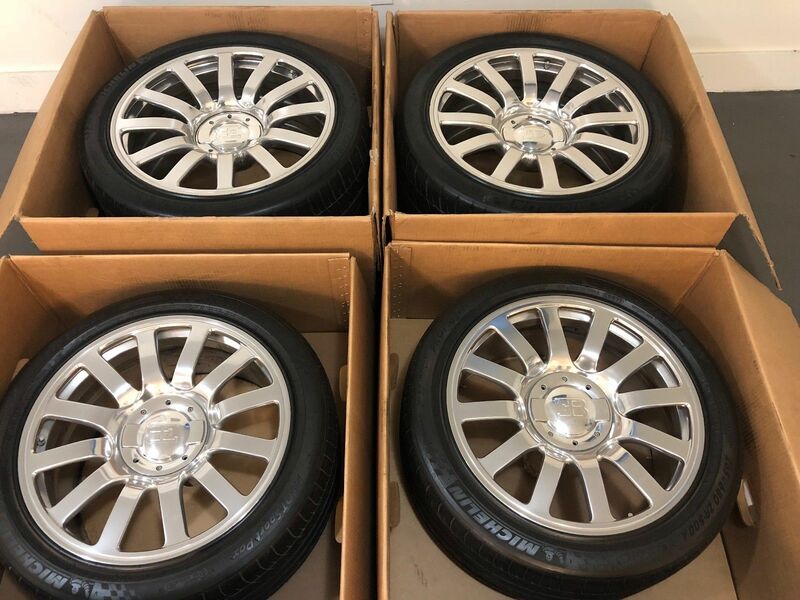 Someone has put a used set of Bugatti wheels and tires on eBay and are asking $100,000 for them. I think this will be a VERY hard sell. Only a handful of Bugatti Veyron owners are out there, and if they own a Veyron, odds are buying used/cheap parts isn’t exactly a priority for them. 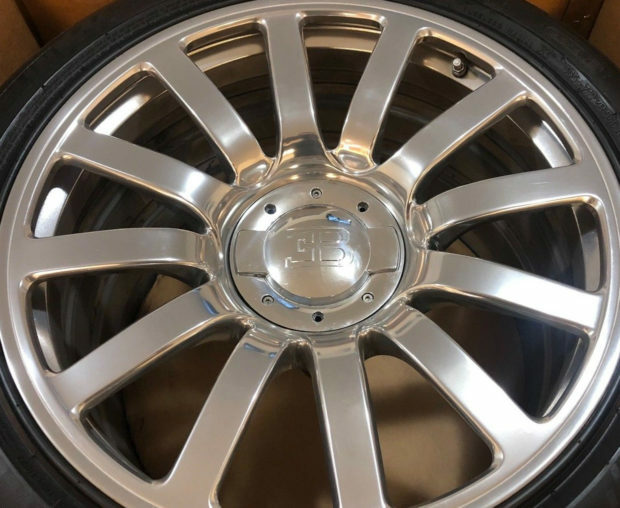 The seller claims that the special Michelin-produced Veyron tires have 85% of their tread left. Bugatti has insane maintenance requirements for the Veyron, including changing the tires every 2,500 miles, and replacing the wheels every two tire changes. Buy from Bugatti and new wheels and tires will cost $150,000 according to the seller, so if you look at it that way, this is a bargain.